This article explains treatment for bunion, symptoms and causes. The toes of our feet are shaped and positioned in a particular way to give us comfort and balance while standing, walking or running. Changes in the normal shape and position of the bones in the toes can result in bent toes and pains that bring discomfort anytime you want to put on those nice shoes of yours. These structural change in bones of the toes that mostly affect the big toes are known as bunions. Bunions, also known as hallux valgus, refers to a bone disorder that commonly occurs in the metatarsophalangeal (MTP) joint which is present in the big toes causing them to appear bent and having a bump of protruding bone close to its base. Normally, toes are aligned to be straight and slightly separated from each other, but in cases of bunions, the big toe becomes bent inwards at its joint, to touch or even crossover the second toe. Bunions can also occur in the little toe in which case it is known as bunionette or ‘tailor’s bunion’ and this also causes the same effect of bending the small toe inwards towards the other toes. Bunions are quite common, affecting about 10 in every 100 children under the age of 11 and it is widespread in adults. The condition is even more common among adolescent girls, with their bunions becoming more visible due to the narrow high-heeled shoes that they wear, which although is not the cause of the condition, but further compresses toes tightly together, making the bent toes to be more pronounced. The most common symptom of bunions is a bump of protruding bone at the joint of the big or small toe. Other symptoms include pains, burning sensation, thickened skin at the affected toe, restricted toe movement. • Heredity: Bunions are likely to be inherited as similar bone structures are shared by most members of the same family. • Hypermobility: A big toe that can be moved more freely than usual might be due to a weak MTP joint which eventually leads to the development of bunion. • Arched foot: If the foot is shaped like an arch, it puts more weight and pressure on the toes which makes the joints unstable and susceptible to bunion. • Disease and injury: An underlying health condition that affects the nerves, muscle and bones such as rheumatoid arthritis and polio can also cause bunions. Injury to the toes can dislocate the joints leading to bent toes. • Congenital issues: Problems with bone development at childbirth can also cause weak toe joints that may eventually develop into bunions. • Medications: The treatment for bunion can be done with certain drugs such as cortisone, which may be administered intravenously to help soothe the bones and reduce swellings. Over-the-counter drugs like ibuprofen can also help in relieving pains. • Lifestyle changes: Always buy shoes with sizes that fit your foot properly and give enough room for the toes. Also, shoe inserts or orthotics to help relieve pressure on the toes and use shoe pads where necessary. • Surgery: In severe cases of bunions, corrective surgeries may be needed to correct the toe bone structure and remove swelling. • Herbal remedy: Using herbal medicines and ointments can also be effective in the treatment for bunion. Bone supplements available from Kedi healthcare have been used by many people with positive results. 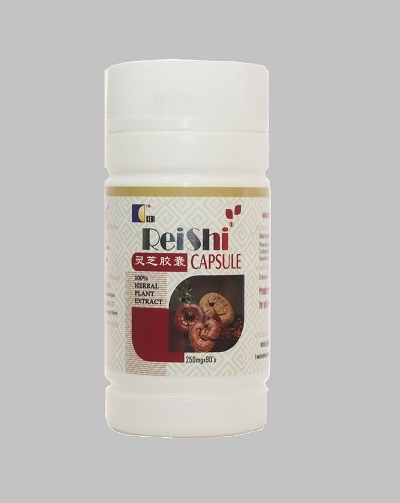 You can order for Reishi herbal medicines for bunion treatment. The price is N9,820 excluding cost of delivery.